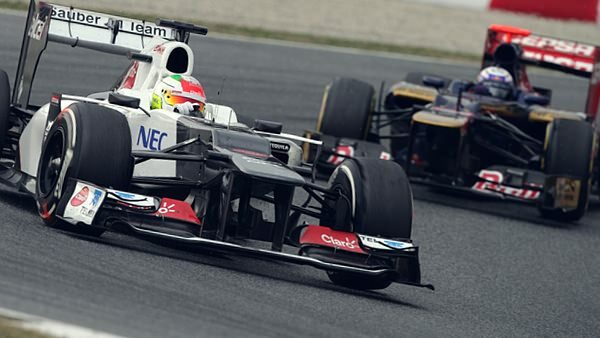 Sergio Pérez set the fastest time in Barcelona today, the penultimate day before testing wraps up for the pre-season. The Sauber driver led the way from the morning session, with his afternoon focused on getting data from various fuel loads. Jenson Button finished the day second, with he and Kimi Räikkönen completing only 44 and 43 laps respectively. The difference between the two, though, was almost three seconds. The decision has been taken to keep the whole team fully focused on the job and there is not any polemic intent behind it. Nico rounds off his pre-season testing with an impressive 129 laps (600 km) today, despite a late rain shower interrupting running. That's it till Australia for Nico! Michael will be back at the wheel of the F1 W03 for the final day of pre-season testing tomorrow.